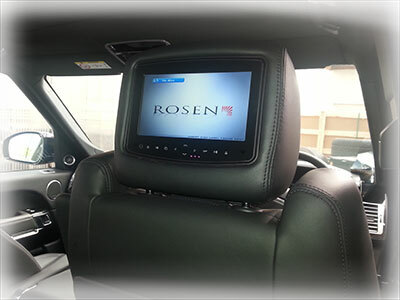 Our custom rear entertainment systems can be designed and installed to your specifications. We can supply and install a range of screens either mounted in the roof or mounted in the rear headrests. The headrests can be custom trimmed to take the screens or we can supply replacement vehicle specific matching headrests. As a Rosen Authorised Dealer we have access to their vast range. 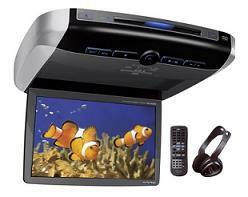 Roof mounted screens can be a neat option and come with a built in DVD player. You can add an input source such as an iPod, Digital TV tuner or a games console. The sound can be played through infrared headphones or through the car’s original radio. 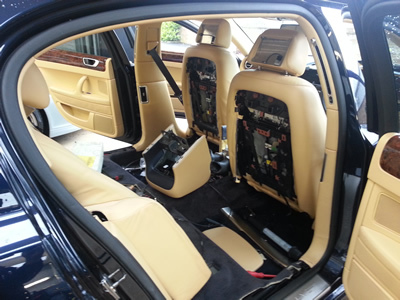 Major installations can be carried at our workshop and we may need the car for a few days. We offer a collection and delivery service to minimise the inconvenience.